It’s an insidious practice: upscale restaurants are increasingly serving small plates in lieu of properly portioned entrées. If the trend continues, a generation of diners will be permanently saddled with the palates of dilettantes and the appetites of Lilliputians. Fine dining in the traditional sense will go the way of the Princess rotary-dial phone. I confess to being a dinosaur: When setting out for a night on the town, my destination is invariably a top-tier chophouse: dim lighting, white linen tablecloths, a full glittering bar, and food portions that guarantee I’ll walk out groaning. At this point, reading at my desk, I grew faint. The next thing I knew, my assistant was waving smelling salts under my nose and helping me off the floor. The trend toward small-plate, prix fixe menus is incontrovertible. Such celebrated establishments as Benu, Chez Panisse, and The French Laundry all follow the despotic formula of “you’ll get what the chef gives you, and that’s that.” But then, so does the state prison at San Quentin. I have to ask myself, Has the restaurant world gone completely mad? I was beginning to think yes—that is, until last weekend, when my travels took me to Santa Cruz, CA, for a wine-bottling weekend high in the mountains. On Sunday we had a late-afternoon plane to catch, and this gave my traveling companions and me the opportunity to grab an early lunch near the airport. The restaurant we quite inadvertently stumbled upon in downtown San Jose was Original Joe’s Italian Restaurant, a descendant of the Original Joe’s founded in San Francisco in 1937. Low lighting, crescent leather booths, white linen tablecloths under a cavernous ceiling—this was a real restaurant. Our server, Jose Luis, wore a tuxedo. He was perhaps 60. 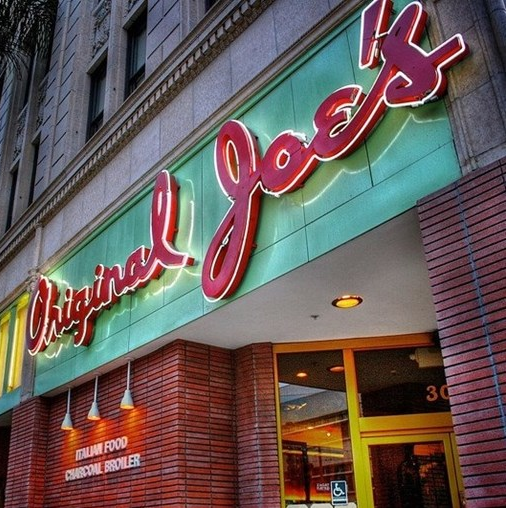 In his 29 years at Original Joe’s, he had personally tasted every one of the menu’s 117 items. He wasn’t so fond of the sweetbreads or the liver, he said, but the spaghetti, lasagna, and minestrone soup were excellent. “The prime rib is ready to be served,” Jose Luis added. It was 11:30 in the morning. At Original Joe’s, the omelets are made with four eggs. Order bacon and eggs, and you get crispy stout steak fries and a truckload of bacon with your scrambled eggs. The Bloody Marys arrive nearly colorless at the top. And the sheer girth of the club sandwiches being portaged through the dining room made our eyes pop. Imagine what dinner must be like. My advice to those of you in the iPhone generation who are putting down a credit card and waiting two to three months for a table at some small-plate, prix fixe nirvana of gustatory endeavor: Cancel your reservation. Use what you save to spring for an Uber. Go to Original Joe’s in San Jose, where a gentlemanly server in a tuxedo will unobtrusively attend to your every need. You’ll eat what you want and you won’t go away hungry. Chew on that with your minuscule plate of Buffalo octopus, chef Brian Malarkey. ##. Eric Peterson is the author of The Dining Car, a contemporary novel about a former college football player who enlists as bartender and personal valet to a curmudgeonly food writer and social critic who travels the country by private railroad car. 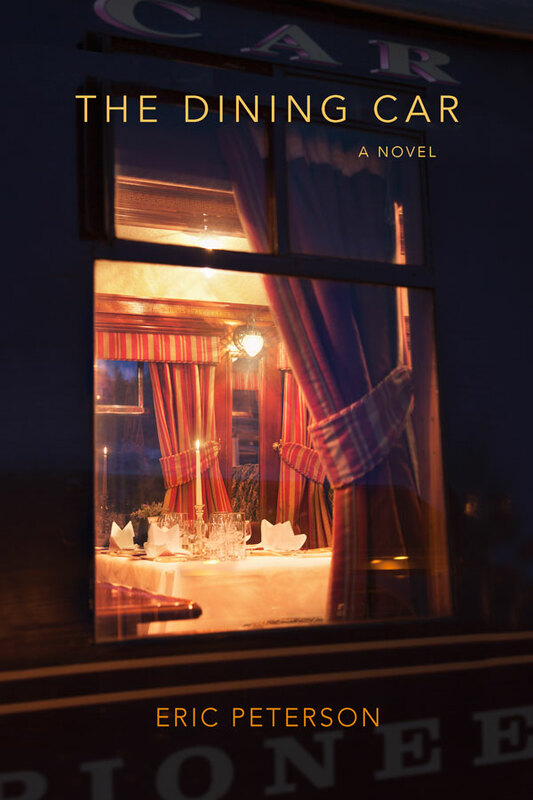 Breaking News: Peterson’s novel is a finalist in the Independent Book Publishers Assn’s 29th annual Benjamin Franklin Awards 2017.